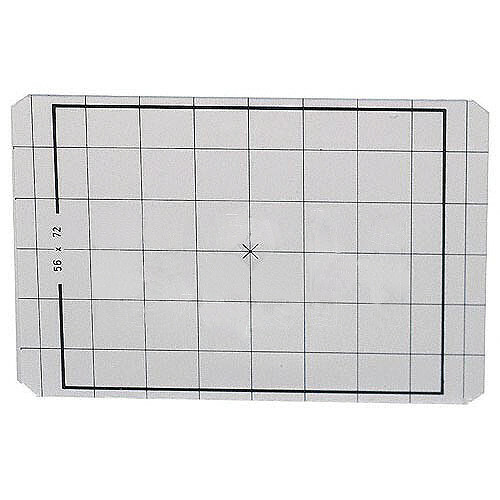 Box Dimensions (LxWxH) 5.5 x 4.3 x 0.7"
2x3 Groundglass Focusing Screen with 1cm Grid is rated 5.0 out of 5 by 1. Rated 5 out of 5 by LarryT from Replacement for Original GG I purchased a used Linhof Technikardan 23 which still had the original ground glass installed. According to info on the Large Format Photographers Forum, Linhof has upgraded their GG since my TK23 was produced so a replacement seemed advisable. Instructions for replacement were obtained from the forum as well and it was easily done. The new GG is a touch brighter than the old one and fits perfectly.